No matter for men or women, what better way to keep track of your timing than with a stylish time-keeper strapped to your wrist? 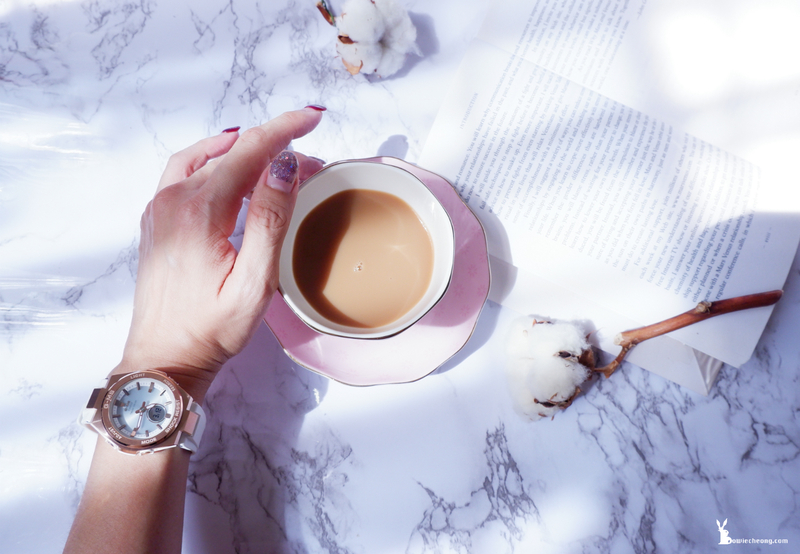 It’s not just for keeping you on time, watches make it easier for us to display our sense of style, it is an essential part of getting dressed, adorning our outfits according to the appropriate event. Despite the time being readily available on my phone when at outside, but i still feel naked and incomplete without a watch on my wrist. 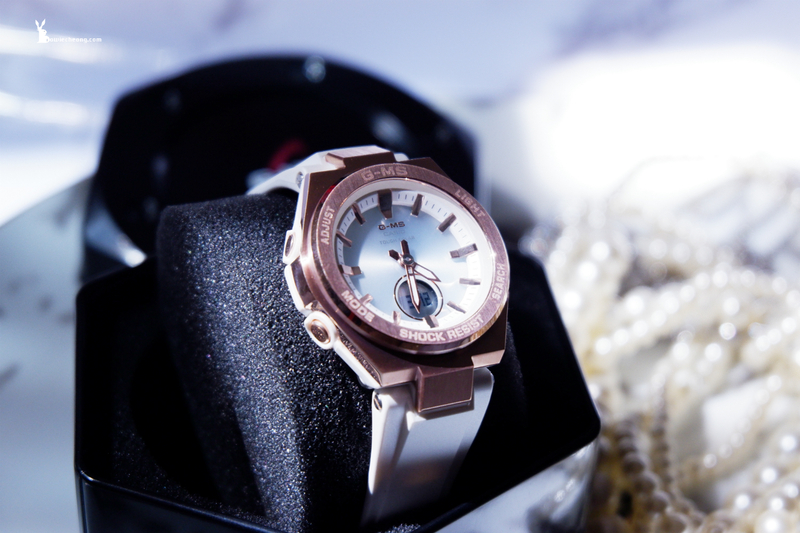 Recently, i just up my wristwear game with a chic and stylish timepiece that choose from Marco E-Store. 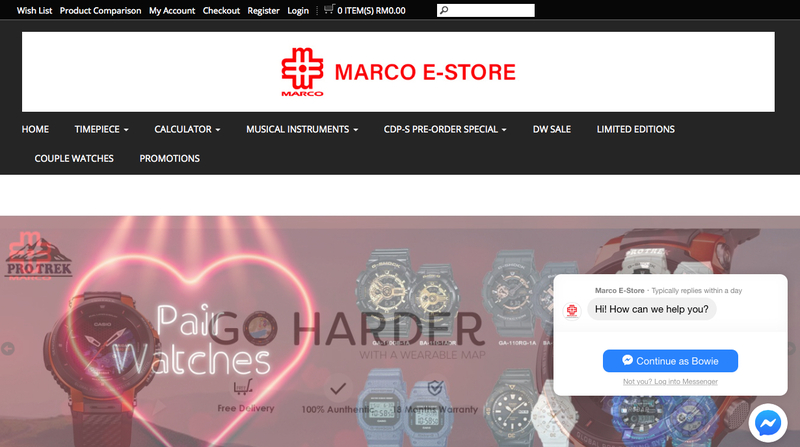 Marco E-Store have been founded and established since 31st October 2018, it is an online store which is selling authentic Casio products. 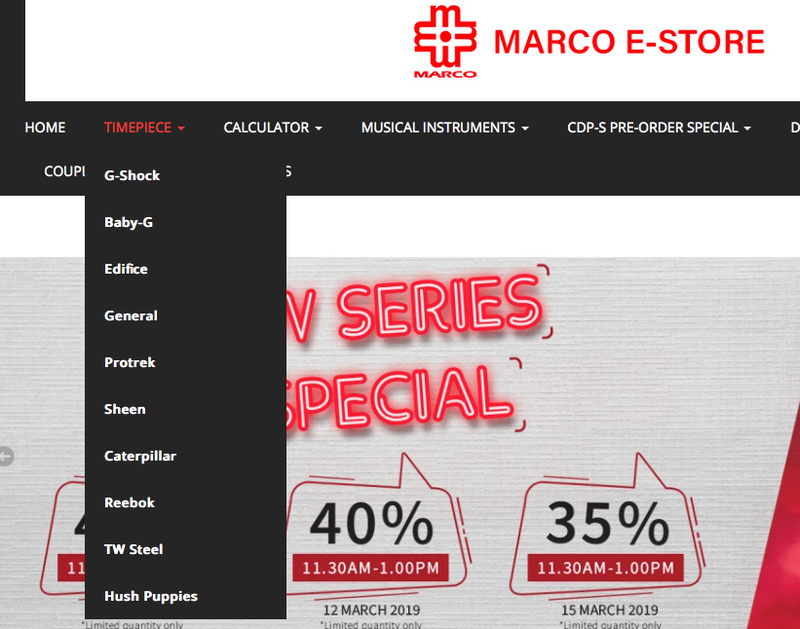 From classic and sporty alike, Marco E-Store include a variety of styles and materials to suit all budgets and tastes. Take advantage of hassle free to discover the large selection even for those design or limited edition you'll hardly find in the market! Then you can get your favourite watches delivery to your doorstep within 3-4 days after payment has been made. 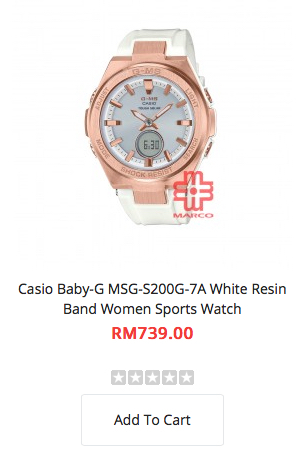 I choose CASIO BABY-G MSG-S200G-7A White Resin Band Women Sports Watch, instead of their early-aughts classic. 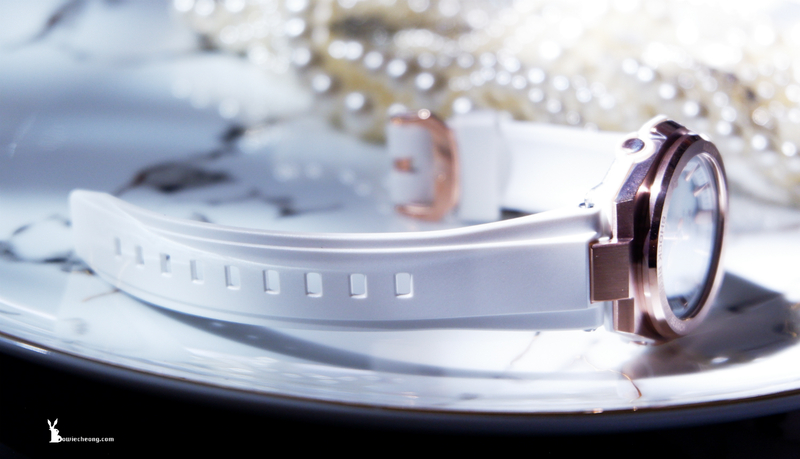 My first caught sight of this white strap Baby G rose gold watch, it was infatuation at first sight. 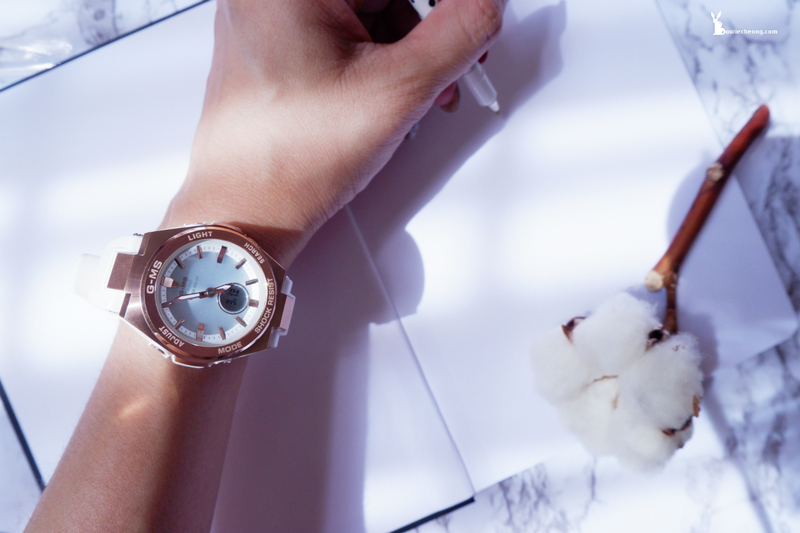 Such a sophistication and minimalist watch that can be quickly and easily paired with almost any level of casual or formal wear! 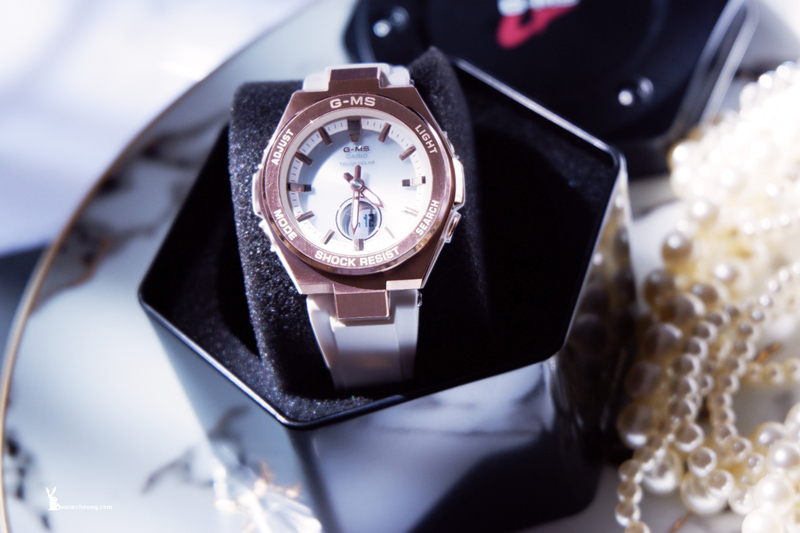 Although my BABY-G MSG-S200G-7A White Resin Band Women Sports Watch looks like a minimalist watch but it comes with shock and 100-meter water resistant with full of cool features that you cannot get it from a traditional elegant ladies watch. Falling into the light weight of case designs at 39g, I am delighted to get this authentic Baby-G because it exudes such a finely tuned sense of balanced design with 47.5mm rose gold stainless steel case and comfortable white Resin Band, add to the timepiece’s stylish but simple appearance. 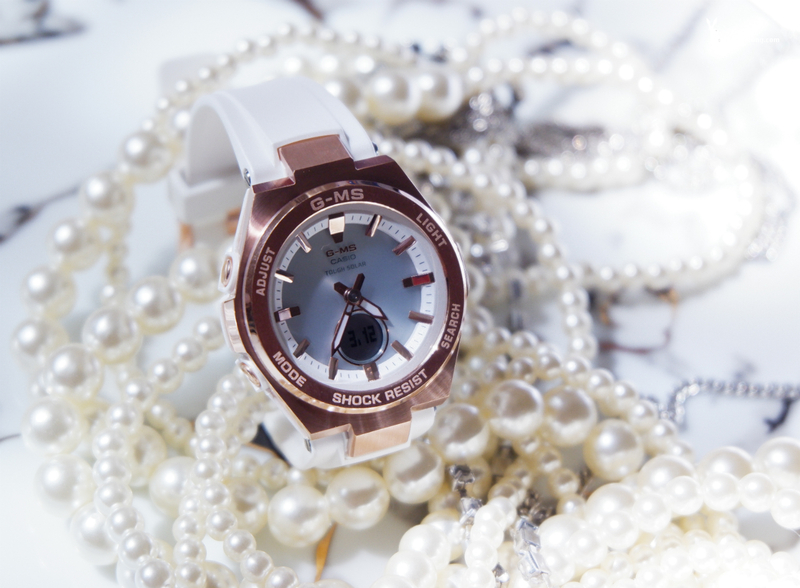 This watch can easily be paired with almost any outfit, particularly with other neutral tones. 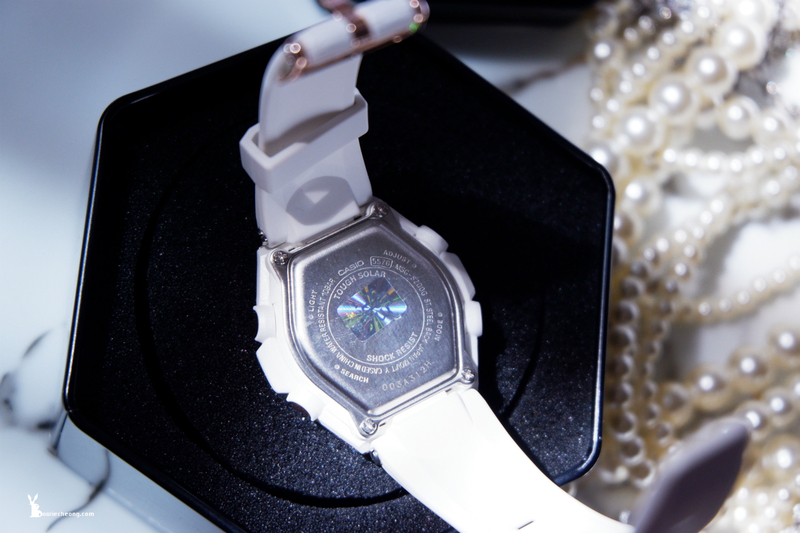 Taking a closer look, the watch uses mineral glass which is the most scratch resistant crystals. 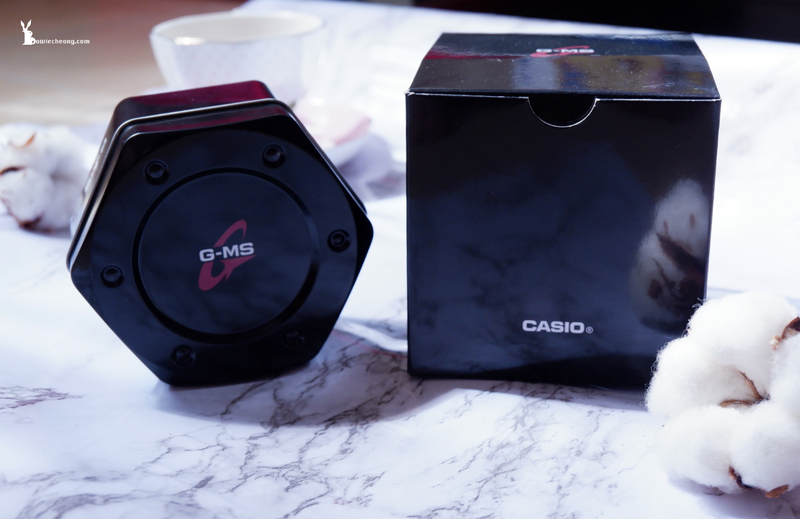 When talk about Neobrite, Casio G Shock or Baby-G are the first things come into my mind. Yes! This watch with Neobrite to provides long-term illumination in the dark after only short exposure to light. 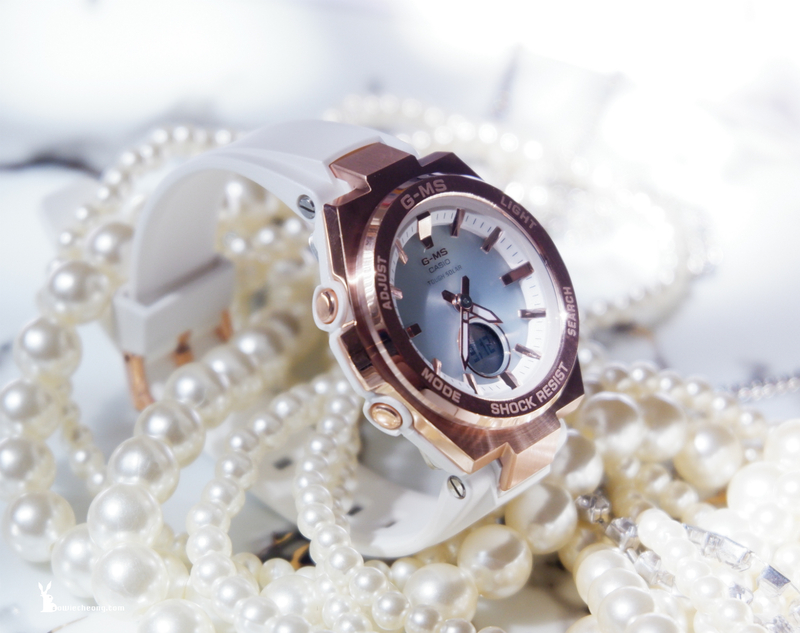 My CASIO BABY-G MSG-S200G-7A White Resin Band Women Sports Watch does a good job of combining clean-cut design with a pretty, feminine touch while still providing a good way to present a variety of smart features that it’s well worth the price. The slimmer case design is just nice for a quick glance of the day, date and time. Note for lovers of oversized watches, this watch is probably not for you. 1 x Casio Baby-G Watch, 1 x Casio Manual Guide, 1-year international manufacturer warranty. 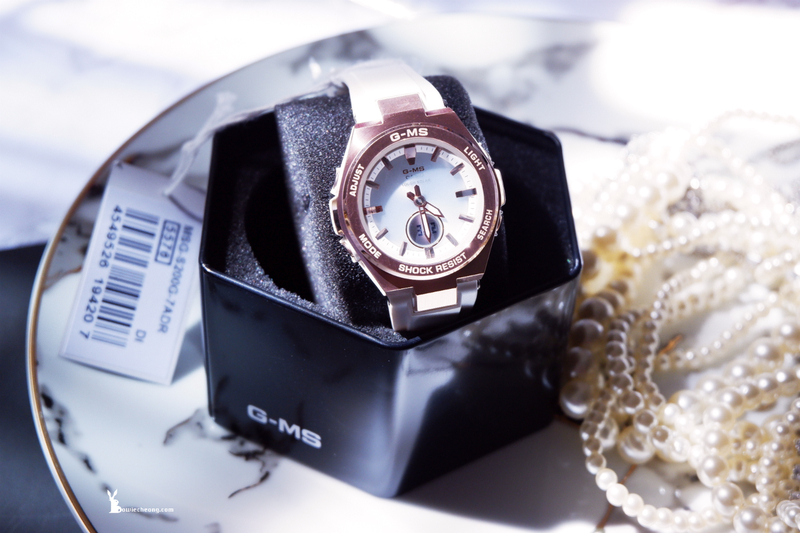 Appropriate for dressing up or dressing down, you’ll get a lot of compliments out of this Baby-G watch, no matter what type of outfit you’re trying to pair it with. 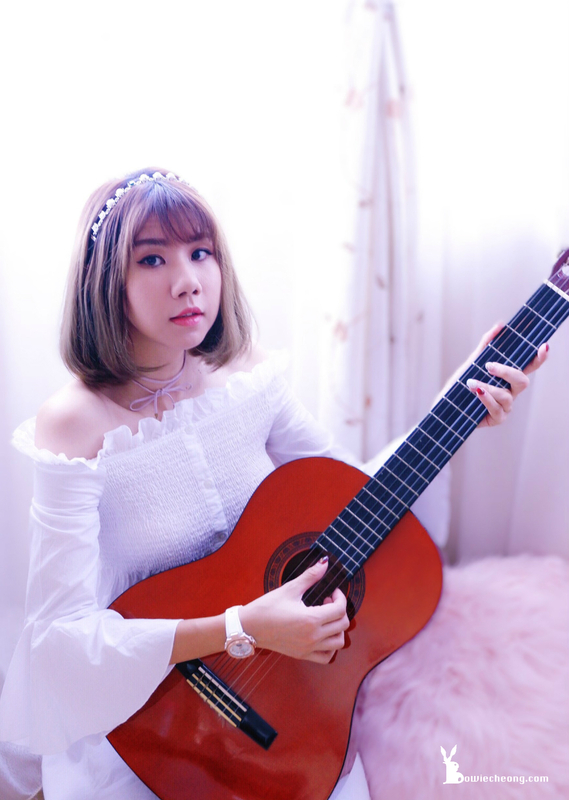 [BGBow20] promo code to get 20% off for the model i wear! [BGBow15] promo code to get 15% off for any watch storewide! 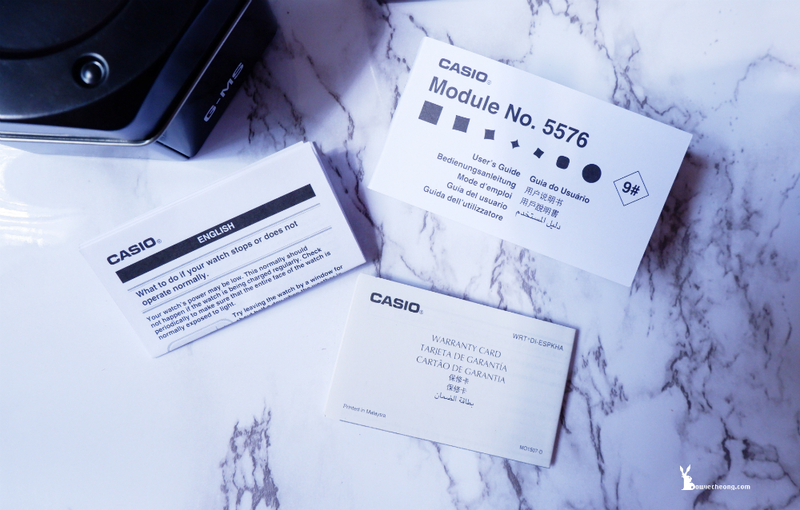 For any purchase from now untill 30th June will be comes with 2 years warranty! The promo code will be expired on 30th May 2019, so what are you waiting for? Shop now at http://bit.ly/2JfNxrN, Marco Online Store!